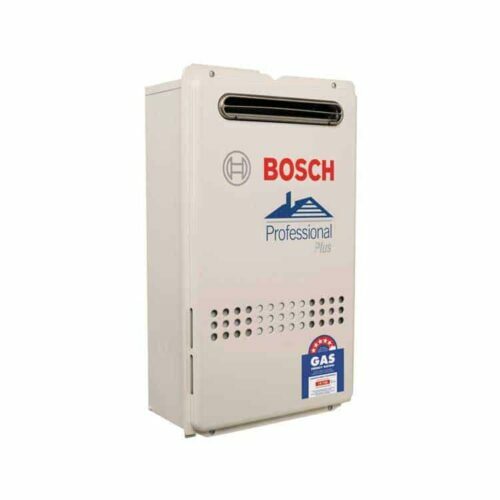 Bosch are proud to present the latest in commercial water heating, the Bosch 32 Series. The 32 litre commercial units are specifically designed for Australian and New Zealand commercial use. Options include one unit through to a fully manifold system. 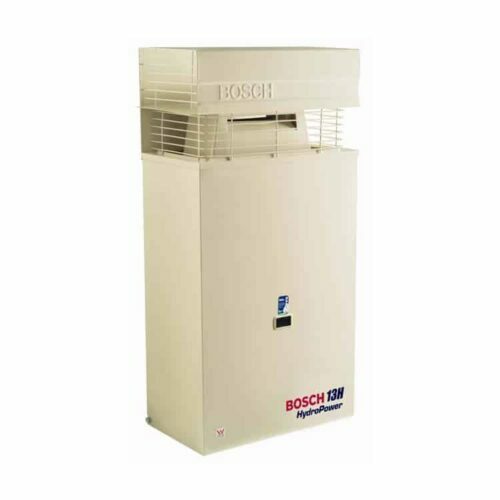 The Bosch commercial units have all your applications covered. The 32 series has a coated copper heat exchanger to prevent corrosion and deterioration and the internal copper piping is 25% thicker than residential models to extend the life of the product. In addition, the Quick Connect Cord (KMQC0703339) is available for easy installation of 2 units manifolded for heavier applications. The Bosch 32 and 32Q will, with a controller attached, reactivate within 1 minute of the power coming back on after a power outage and go back to the settings that it had before the loss of power (great for sporting complexes). Both the 32 and 32Q feature the same physical dimensions. Antifrost comes as a standard option with the 32 series. The Bosch units can be installed either internally (using the Bosch flue kit), or externally with the additional Bosch accessory, Vent Cap (KMVC100), making the Bosch 32 series the most flexible units on the market. The 32 series are most effective when coupled with the optional temperature controllers. The controllers offer fingertip water temperature control, accurate to single degrees. The commercial controller gives you the advantage of not having to mix hot water with cold water as this is done automatically inside the unit. 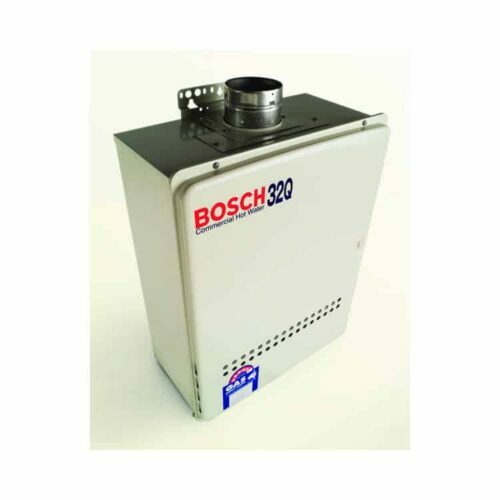 Bosch 32 Series gives you flexibility and reliability when there is a demand for large volumes of hot water. The 32 series has all your applications covered and is perfect for large homes (3+ bathrooms). Enjoy instant hot water when you need it! 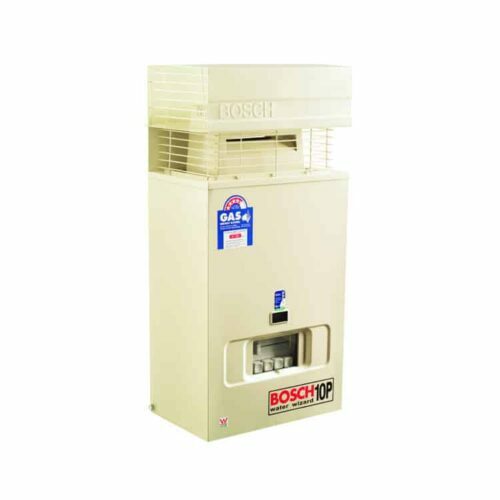 Contact now for Callback & Bosch 32Q Best Price!